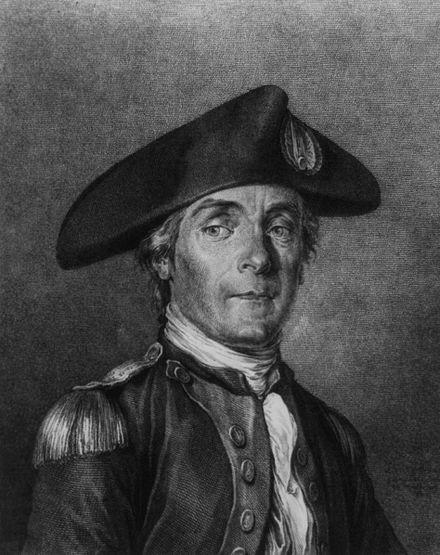 John Paul Jones (1747-1792) was a Scottish-born American naval commander, famous for his skilful leadership of the tiny Continental Navy. Born John Paul near Solway in western Scotland, he went to sea in his early teens and became an apprentice. Paul worked for several years aboard British merchant and slave ships. 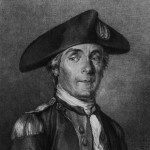 By the late 1760s, he had risen to the position of ship’s master and later merchant captain. A no-nonsense figure, Paul was twice accused of killing men. The second of these accusations saw him flee to America and adopt the surname Jones. In 1775 Jones volunteered to serve in the newly formed Continental Navy; connections in the Congress saw him handed an officer’s commission. Jones later commanded a small sloop, leading successful privateering and sabotage raids against British positions along the Canadian coast. Given a larger ship, Ranger, Jones sailed to Europe in 1778 and attempted several raids against English towns and ships at anchor. In September 1779 Jones achieved his most famous victory: the capture of the powerful British frigate HMS Serapis. It was during this battle that Jones reportedly uttered the now iconic retort “I have not yet begun to fight!” Jones was hailed by his contemporaries, and indeed by many historians, as a courageous officer who was able to produce significant victories with insubstantial resources. After the revolution, Jones became a mercenary and served with the Russian navy. He died in Paris, France in 1792.